The Second Edition has many new and corrected entries, made since the original edition was published in the year 2000. Now Available! Use the following link to order the print book. 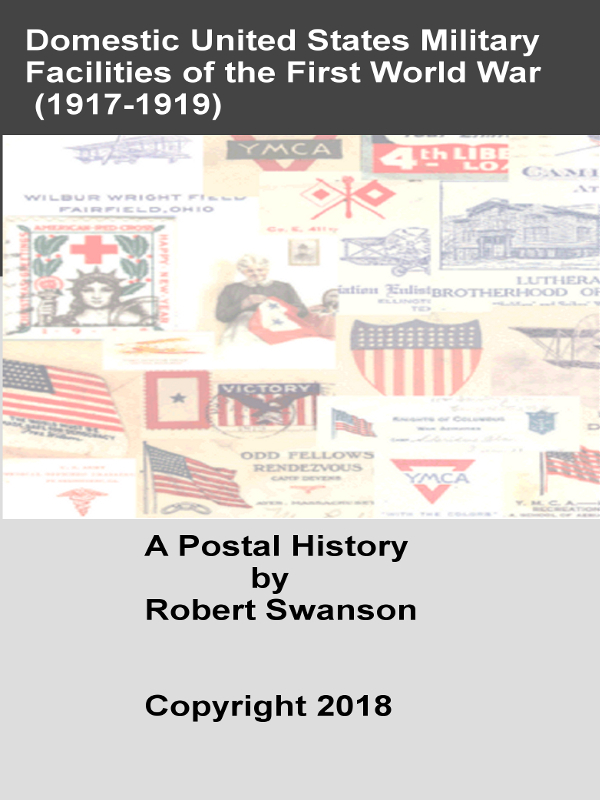 As a supplement to the above full book, I have created just a Checklist of Facilities for Which No Postal History has been Recorded. Follow the link below to order only the checklist in print format! NOTE: buyers of the paper copy of the Facilities book do not automatically receive a copy of the checklist. If you wish a professionally-printed copy, you must order a separate printed version, using the link above. Since this book was directly created as an electronic book, there are a number of formats available for your purchase. The "ebook" market has not settled down yet, so you have several choices. Note that if you purchase the "printable PDF" electronic version, you may print a single paper copy of this more than 600-page book for your personal use. (Do not try to take the released PDF file to a "local instant-print" as they will not print a copyrighted book, if you are not the author.) Due to the large size, it is suggested that collectors only print out states or sections that are of current interest. Because many illustrations in this book edition are in full color, you may want to print out some pages on a color printer. However, as most computer owners know, printing in color is quite costly, so your decision to create color pages from the Printable PDF depends on your equipment and budget. This electronic file will be made available to you by email, which will contain a link that you can reference for direct download of the book. NOTE that there are two types of PDF files available: (1) Printable, and (2) Fully Interactive. BEFORE purchasing the book in this format, please fully read: this page describing how to read PDF files on a variety of computers, phones, and tablets. For convenience, you can buy this book directly from Amazon, using the following link. The purchase and downloading process is easy, but you will pay more than the direct download I am also offering. This electronic file will be made available to you by email, which will contain a link that you can reference for direct download of the book. Since this download is not direct from Amazon, its use will require some work on your part to install. The file you receive can be read directly on the Kindle (tm) product, or can be read on many devices using the Kindle program or application. The downloaded file is about 76 megabytes in size. This electronic file will be made available to you by email, which will contain a link that you can reference for direct download of the book. The EPUB format is readable on a wide variety of devices, such as the Nook -- in fact most devices EXCEPT the Kindle. The file is about 32 megabytes in size. This book represents three decades of work, and was first published in 2000. Many new and corrected entries have been added to the book, as well as many full color illustrations that were not possible in the original edition. In this book, I've attempted to list every place in the United States and Territories where soldiers, sailors, or marines might have been stationed during the First World War. The reason for such a list is to provide source locations and checklists for postal history (letters and cards) from these military men. The book lists all fixed, land-based United States military camps and facilities that operated during the War period. There has long been a need for such a listing, as it was not known where military mail could have originated within the US. Purchasers of any electronic book version will immediately receive a bonus file: a checklist of facilities for which no postal history has yet been recorded. Again, NOTE: Purchasers of any electronic form of the 2nd Edition book will automatically receive this PDF checklist file. Purchasers may print out one copy of this PDF file (23 pages) for their personal use. The descriptions at the start of this web page contain links that allow you to purchase print and electronic copies of this book. As collectors, we are often interested in finding items that were previously unknown or undescribed. Some collectors also want to achieve completeness. The index in the main book for "No Postal History" facilities is organized by name, with links (or page references) to the main body of the book. Thus, that index would be difficult to use, when a collector is checking postal history items. The separate checklist is organized for quick lookup, being in alphabetic order by state and city. The checklist file can be purchased separately (PDF file, 23 pages), but will be INCLUDED with any order of an electronic book copy. This book purchasing system was devised by Amit Agarwal whose "Digital Inspiration" website offers many great ideas for full use of the Internet.